Is Anthem a Destiny Killer? I only have room for one ‘hobby’ game in my life, and right now, it’s Destiny 2. But Destiny’s innumerable missteps have become the stuff of industry legend, and make no mistake: with Anthem, EA wants Destiny’s audience. YouTuber AztecCross says “the vast majority” of other content creators at a recent Anthem event were fellow Destiny specialists. That’s a clear indicator of EA’s intent: Destiny’s YouTube and Twitch community has become essential to its success and its enduring place in the broader gaming conversation, and despite Anthem’s many differences from Destiny, EA wants the same ecosystem. But does the game BioWare has built deserve it? During the Anthem demo this weekend I, like many others, consistently suffered a bug where loading screens would hang at 95%. That’s a shame, because I mostly enjoyed what I did manage to play. Anthem has real strength in areas where Destiny, to the growing frustration of many, has been weak since the start. For one, Anthem’s world is rich and full of life. The abilities to fly and swim enable vertiginous and intricate level designs, with quests and secrets squirrelled away at the tops of cliffs or deep in underwater caves. What’s more, there’s a huge range of flora and fauna, with variable behaviour. Destiny’s worlds may be beautiful, but they’re flat and unresponsive by comparison to Anthem’s, and – apart from a single quest-giver – contain no life but bland, dim enemies. This speaks to a thematic difference in their lore. Destiny is a mournful, postlapsarian struggle: on each planet, you explore the rusting ruins of a distant Golden Age, now haunted by remorseless aliens whose genocide against humanity has killed people in their billions, leaving us with just one Last City. 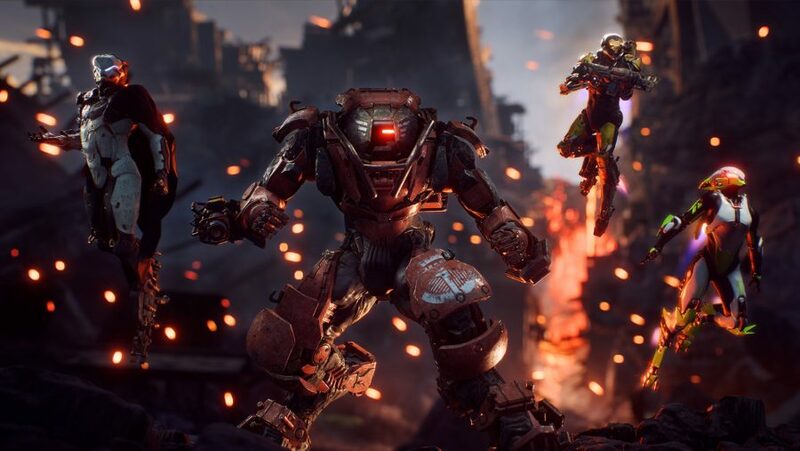 Anthem, by contrast, is all about life – its title refers to the Anthem of Creation, a force of pure creative energy that is dangerous only because creation and destruction often go hand-in-hand. It’s such a contrast with Destiny that I wonder if it was explicitly designed to be so. There’s a lot of abstract nonsense in both mythologies, but Destiny’s babble about the Light and the Darkness feels the more tired of the two – it shares a lot with Star Wars’s 40-year-old Force. There are hints of depth: Toland the Shattered and Dredgen Yor’s infatuation with the Hive’s Sword Logic is a more sophisticated rationale for good guys turning evil than simply giving in to aggressive feelings. But after more than four years, it’s frustrating that all we’ve ever seen are hints that Destiny’s fundamental forces might represent more than a binary and clichéd view of cosmological morality. It’s also not communicated very well. The original game’s story, infamously, didn’t merit the name. What has followed has at least been coherent, but only Forsaken’s story of the thin line between vengeance and justice, and its portrait of an increasingly desperate Zavala, has risen to the bar of being interesting. There’s still no real scope for meaningful engagement with the world, or its many factions or events. At least Destiny 2 has an in-game codex now, but unlike Anthem’s, it doesn’t really cover the basics of its lore, which might deter newcomers. Anthem’s edge here isn’t decisive, however. It’s great that your character can have something resembling an actual conversation, but your interlocutors don’t seem very engaging so far. I haven’t met a character in Anthem who’s really grabbed me, and their dialogue reminds me eerily of the maudlin blather that Destiny’s characters spouted back at launch. Humour, warmth, and wit are lacking. Anthem’s novelty explains a lot of the above, both the good and the bad: more time with the game might reveal a character who grows on me, or expose its lore as even dafter than Destiny’s. I’ve only scratched the surface, and so far neglected the thing that matters most: gameplay. Gunfeel, splashy Supers, and the overall ‘power fantasy’ they create is still one of Destiny’s biggest selling points, but there’s a lot that Anthem gets right in this department, too. Sprinting and jumping comes with a punchy ‘pop’ as you fire your boosters. Guns sound great, though they can’t compete with Bungie for feel and personality. 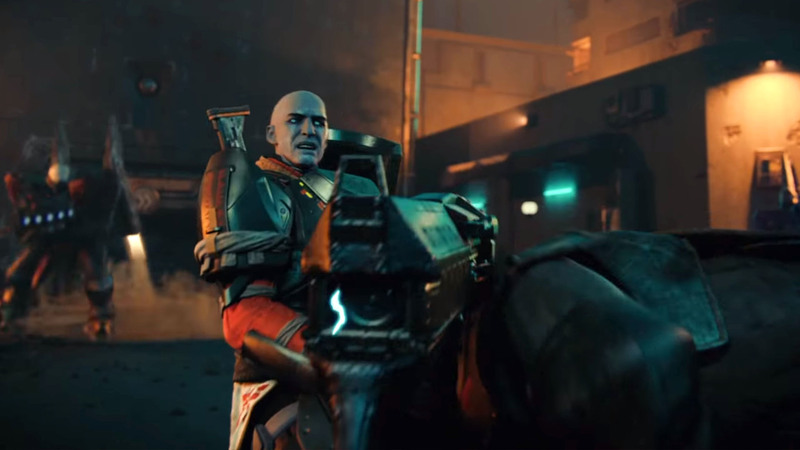 Third-person shooting just isn’t the same; I doubt Anthem will give us a legendary gaming weapon to match the BFG 9000, while Destiny has a few real contenders in Gjallarhorn, Thorn, and The Last Word. There’s also a bit too much sponginess to enemies, even basic ones, for my taste – though Destiny is far from blameless on that front. But what more compelling fantasy is there than flight? Flying around in Anthem is a real treat, even if it does feel a bit imprecise and ‘soupy’ to control. I hope it gets tweaked or clicks with practice, but it’s already pretty fun, and it’s tantalising to imagine what might come in the full game – aerial puzzles, races, or obstacle courses, perhaps. The sluggish, first-person schlep around Fort Tarsis is miserable by comparison, though the settlement itself has a bright, funky Moroccan vibe. 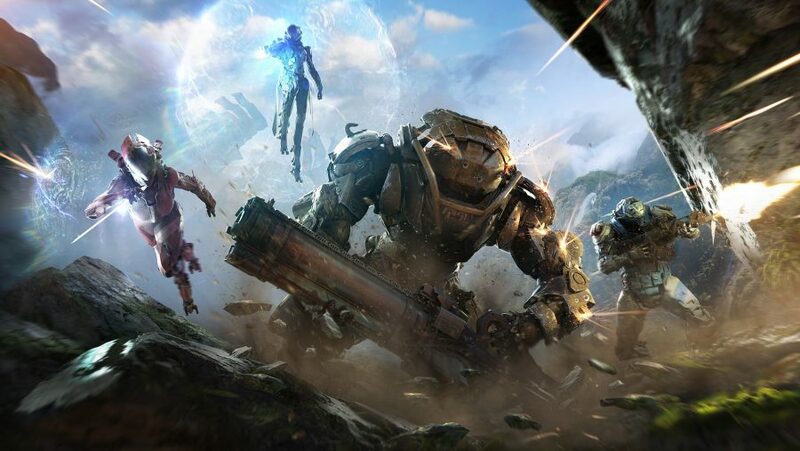 My biggest concerns pertain to how we’ll play Anthem. Its lack of PvP is a problem for me. I’ve enjoyed competitive shooters since Half-Life Deathmatch, and the fact Destiny can scratch this itch is a substantial part of its appeal. Information on Anthem’s endgame – likely to be its most crucial phase, as Destiny shows – is limited, but we know it’ll offer matchmaking for every activity, including raids. I’m sceptical about that. It took a matchmade group about ten minutes to solve the simple colour-shifting puzzle at the end of the Anthem mission named Triple Threat. So I’m worried – and Destiny YouTuber Datto shares this concern, as you can read in our interview with him – that by catering to less committed players through matchmaking, Anthem’s raids will feel trivial compared to those of Destiny. And yet. More than once I strung together a thrilling sequence of flying, hovering, short-range dodges, and double-jumps, dropping grenades and LMG fire on enemies as I went, and I felt a glimmer of something that could pull me away from Destiny. I’m not about to pre-order, but for some, a glimmer might be all that’s needed – Forsaken was terrific, but did it come too late? No one should forget how bitter the Destiny subreddit was in the year before its release.